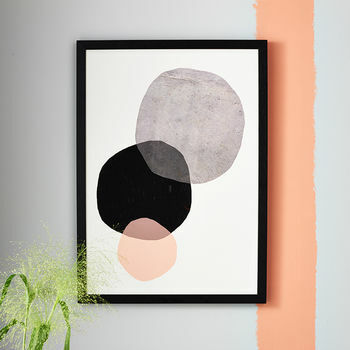 Minimalism from Seventy Tree, calming circles for a modern sensibility. The best thing about minimalism is comparing your interpretation with others. This prints is a great discussion piece, and the simple colours lead it to either be a complimenting or contrasting image in your decor. All of our digital prints are printed using archival inks on 210gsm acid free archival paper. Colours guaranteed up to 70 years! 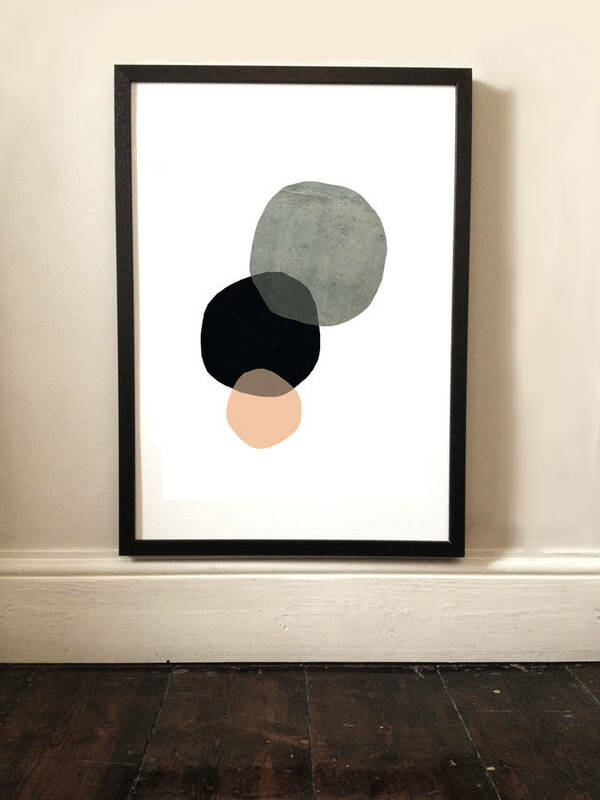 All of our prints come with a contemporary white border and are available as framed or unframed prints. You can add a black wooden frame in A3 and A2 with acrylic glaze. This product is dispatched to you by EAST END PRINTS.